incidental Welsh used in and outside of the classroom. Criw Cymraeg introduce the phrase of the week/ fourtnight in our Foundation Phase and Key Stage Two Assemblies, using actions to help us remember them. Beth wyt ti'n hoffi wneud? 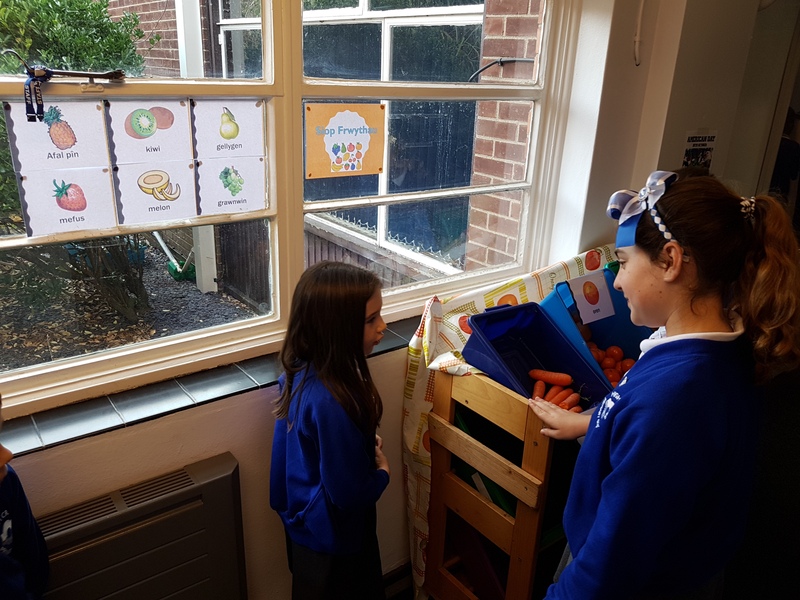 They act as "Detectif Cymraeg" throughout the week to catch the language being used by both adults and children in the school. This will lead to the awarding of a certificate in our weekly Cymraeg Assembly. Beth wyt ti eisiau? Ga i.....os qwelwch yn dda.